Welcome to our web page. If you need to get in touch with us, just send an e-mail to otte2@cox.net. New photo! 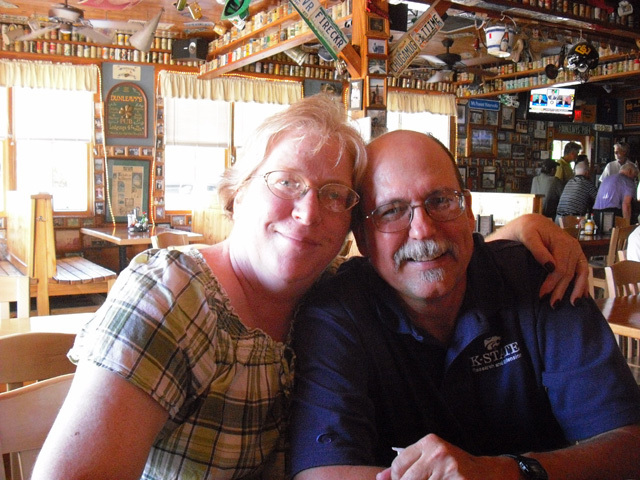 This one was is far more casual than our previous one and was taken in July 2012 at Dunleavy's Pub on Sullivan's Island, South Carolina. Thank you Riane Miller Bolin for capturing this special moment from a great trip!